Our clients acquire tools to challenge, and then change the beliefs that limit them in achieving their goals. They learn to listen and communicate more effectively, building strong, supportive relationships. One of Lynn and Melanie’s outstanding abilities is their talent for recognizing where the real issues lie and getting to the core of that elusive problem. Through their presence they create an environment of trust and transformation where change happens quickly, comfortably and easily, as they help individuals and teams to breakthrough the barriers which limit their performance. At The Robinson Group, we promise Insight, new perspectives and results. 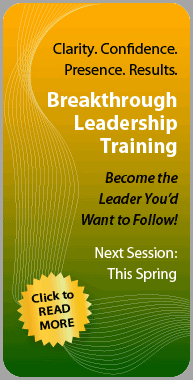 Our purpose is to help business professionals build their inner resources, while building their leadership skills. This is done through Training and development, breakthrough coaching and Consulting.